Citrix® – using Citrix’s GoToMeeting™, GoToTraining™ and GoToWebinar™ products, we can assist you in producing your online meeting. These products support presentations with audio and video. 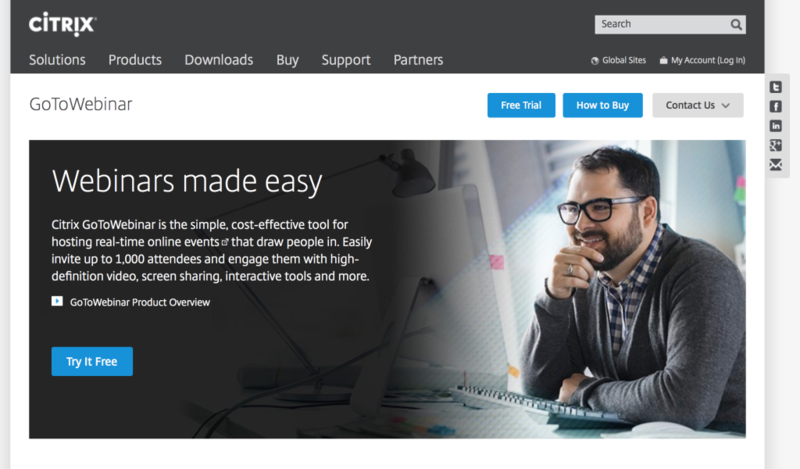 Registration – customers can sign-up and pay — when required — directly on Citrix’s site.